The terms heterochromatin and euchromatin have evolved since their introduction in 1928 by Heitz (reviewed in ref. 1). This reference provides an excellent historical perspective of the conceptual changes of the two terms. 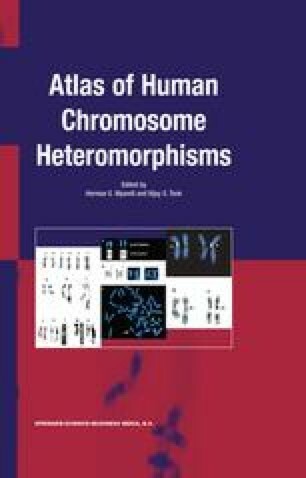 Brown points out that Heitz proposed the term heterochromatin to refer to densely staining regions of chromosomes that remained “visible” for much of interphase. In contrast, euchromatin underwent a typical cycle of condensation and unraveling. Heitz therefore believed the heterochromatic regions to be genetically inert.